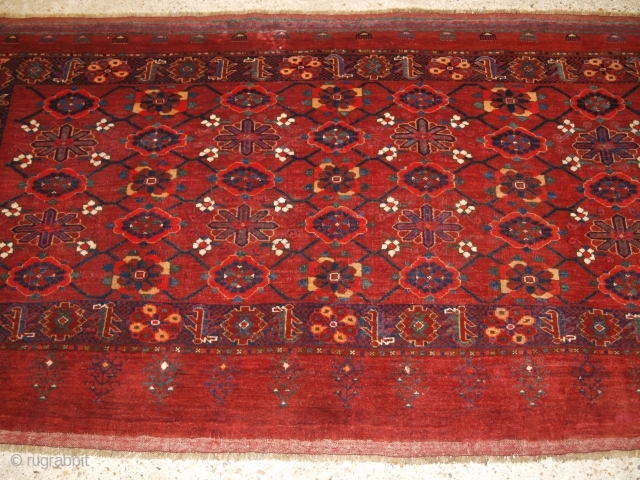 Antique Beshir Turkmen chuval with the ‘mina khani’ (many flowers) design. www.knightsantiques.co.uk Size: 6ft 8in x 3ft 6in (202 x 106cm). Late 19th century. 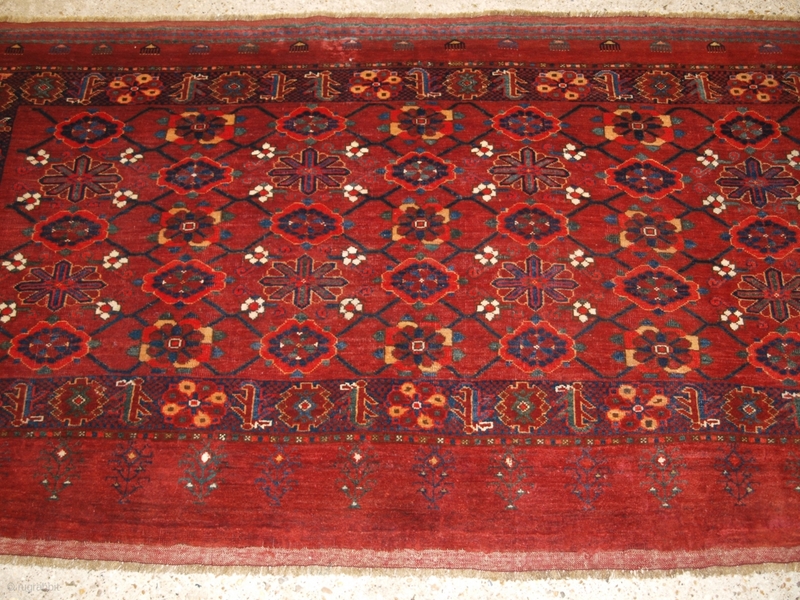 This Beshir chuval is of very large size and would be very suitable for use as a floor rug. The chuval is very well drawn with good colours, note the row of amulets along the top of the chuval and the flowers in the elem. The chuval is in excellent condition with light even wear and good medium pile. The chuval has been hand washed and is ready for use or display. Stock Number: r-1797.